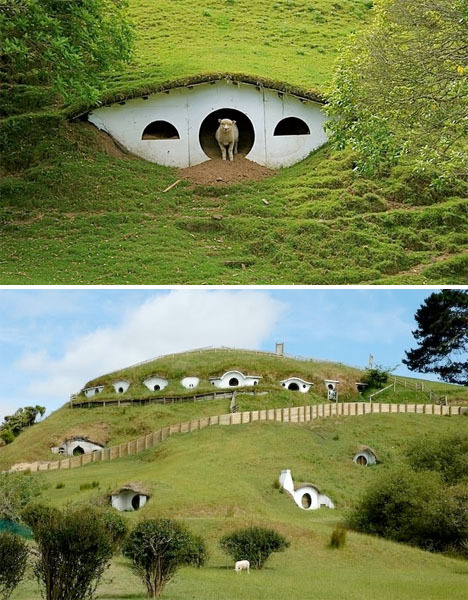 Sheep have taken over the Shire, lost industry created ghost towns and the major earthquake of 2011 has left much of Christchurch cordoned-off and left to decay. 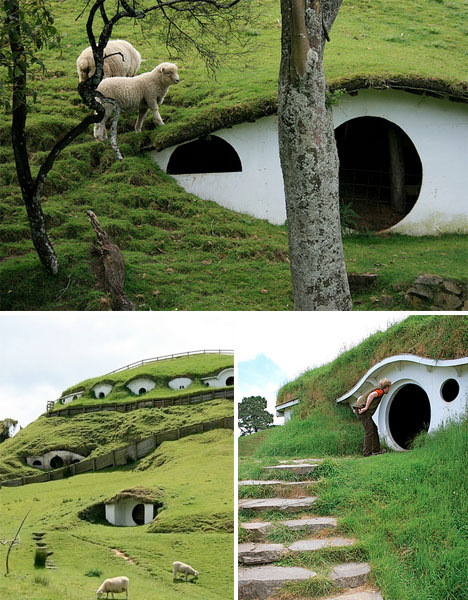 While New Zealand may be best known for the otherworldly landscapes that made it a natural choice as the filming location of the Lord of the Rings and Hobbit films, it also has a rich history that has resulted in a number of striking abandonments located on both the North and South Islands, in major cities like Auckland and remote stretches of the coast. 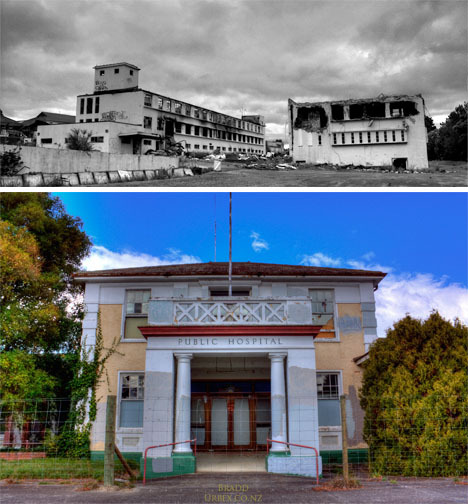 Completed in 1879, the Waipukurau Public Hospital in Hawke’s Bay expanded more and more as the population in the area grew, housing the injured and ill and serving as the birthplace for thousands of New Zealanders. It was in operation for over a century, finally closing its doors in 1999. Of course, it wasn’t long before it became a popular hangout for vandals and vagrants, and in 2010, a major fire gutted several of the complex’s main buildings. 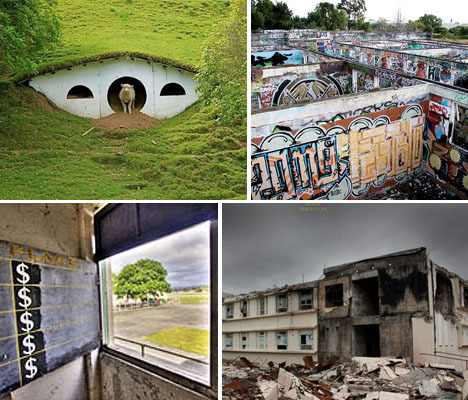 An Aucklander bought the whole property sight unseen in 2011, not realizing the extend of the damage, so the future of the hospital remains unclear. 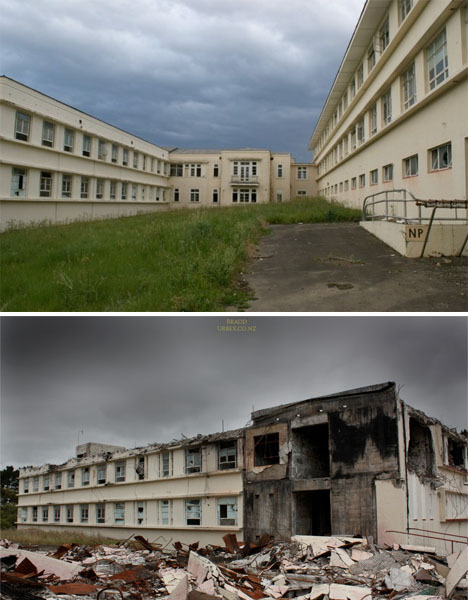 Bradd and Nathan of Urbex New Zealand took some great photos before and after the fire (shown above), and more can be seen at Haunted Auckland. 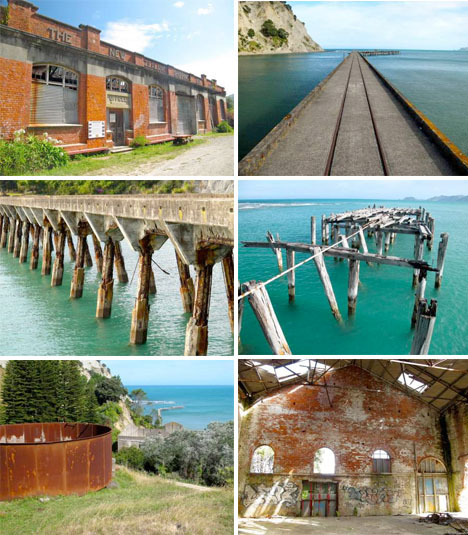 This bay town was once a hub of thriving industry, home to the Tokomaru Bay Freezing Works. 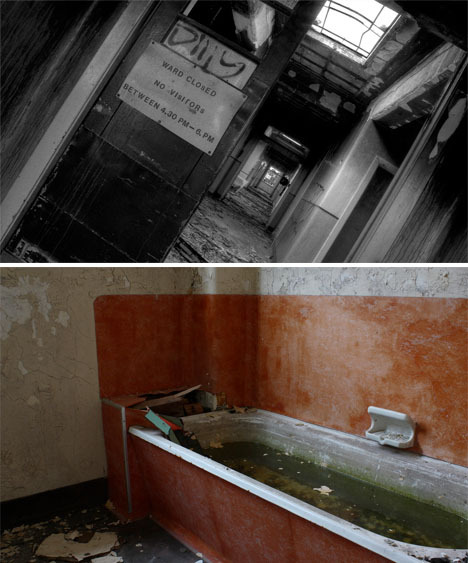 But once it closed down in 1952, 400 workers and their families were forced to move elsewhere, and much of the town’s infrastructure has been abandoned ever since. Other parts of the beachside town have been modernized and are still home to about 350 residents, mostly Maori fishermen and craftspeople. 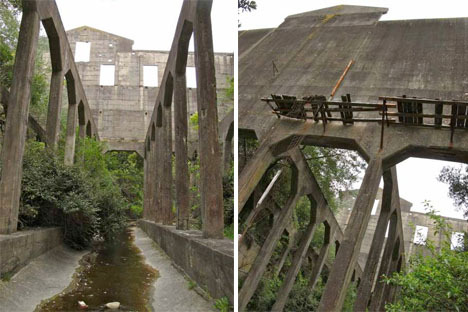 Abandoned sites in the town include the New Zealand Shipping Company building, the wharf, and the shell of a 1917 sheep meat freezing facility. New Zealand’s only active marine volcano, which last erupted in August 2013, can be found about 30 miles off the east coast of the North Island in the Bay of Plenty. 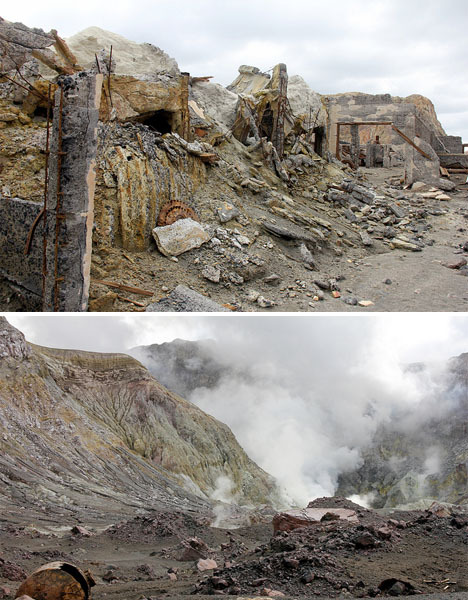 Whakaari Island, also known as White Island, was the site of a sulphur mining operation in the early 20th century, but when part of the western rim of the crater collapsed in September 1914 – killing all 10 workers – the site was abandoned. 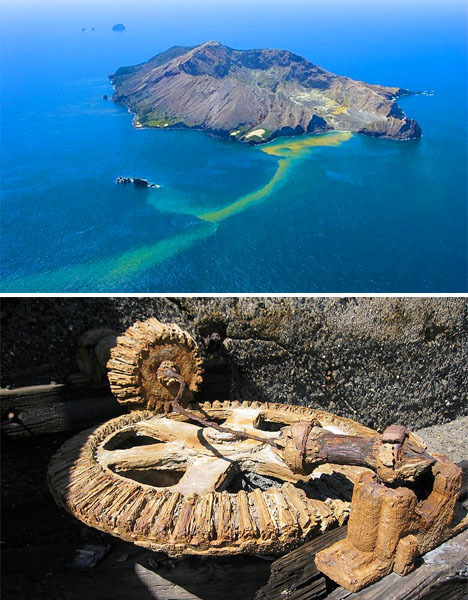 The rusted equipment from those mines can still be found strewn around the island, which is now used for scientific research.